CALL TODAY TO MAKE AN APPOINTMENT FOR A COMPLIMENTARY ESTIMATE! 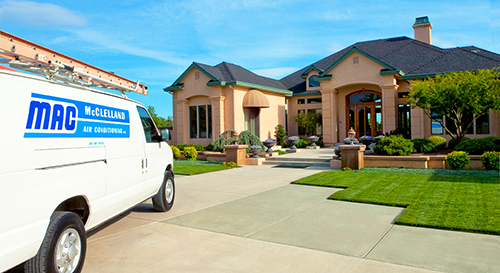 Beginning in 1947, McClelland Air Conditioning started making your house feel like your home. When it’s time to replace that old, noisy, inefficient furnace or cooling system we have the best people and best equipment to get the job done right the first time. Our design consultants and installation technicians are continuously trained on the most advanced installation practices and standards to make sure your new system operates at peak performance for many years to come. Because every home is different, we design a system that best matches the needs of you the individual homeowner. By asking the right questions and inspecting the home, we can use our experience to design a system that delivers comfort, reliability and efficiency. Since the new system is designed to meet your needs, we aren’t done until you are satisfied. That means that the new units are started and adjusted to maximize performance and minimize problems and noise. ALL work areas are cleaned to your satisfaction. All of the paperwork and rebates available are complete, and you are HAPPY! To learn more about the most advanced and reliable Air Conditioners, CLICK HERE. No natural gas and sick of high propane bills? CLICK HERE to learn about today’s High Efficiency Heat Pumps. To learn more about High Efficiency, Ductless Mini Split Heat Pumps, CLICK HERE. Are allergies a problem for you or your family? Constantly battling pet odor or dander? Are your lungs sensitive to summer’s wild fire smoke? 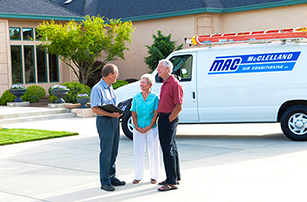 CLICK HERE to learn how McClelland Air can help you solve your Indoor Air Quality issues. Going SOLAR on your new home? CALL today to learn how you can harvest the sun’s energy to HEAT and COOL your home or business.